The Indian advertising and marketing industry has been witnessing some high decibel moves over the past few months. News of agencies firming up their leadership teams, to that of prominent names making an exit, have been constantly doing the rounds in the media. Amidst this action, what catches the attention of the industry is news of adlanders looking out for greener pastures in other marketing disciplines or outsiders making a switch to test waters on the advertising side of the business. One such senior name that has parted ways with advertising to pursue a career shift is Asheesh Malhotra. He leaves his role as President at Bates CHI & Partners to join GolinOpinion, the PR division of PointNine Lintas as Executive Director. This marks a significant shift for Malhotra, who has spent his entire career in creative agencies, as he ventures into the landscape of PR. At GolinOpinion, he will lead the strategic planning function and oversee the agency’s social media centre-of-excellence, the Bridge™. 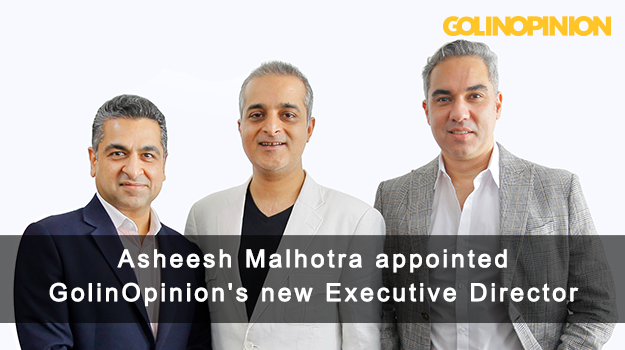 Malhotra joins GolinOpinion from the Ogilvy group where he was President, Bates CHI&Partners heading their Mumbai and Delhi offices. He was earlier a unit head looking after a large Unilever portfolio as well heading a global hub for Castrol and BP at Ogilvy. A new business junkie, he was also leading the growth agenda for Bates. Prior to that, he spent fruitful eight years in the Mumbai office of Lowe Lintas, leading the ICICI Prudential and J&J businesses. Responsible for a national mandate, Malhotra has joined GolinOpinion with immediate effect and will be based out of Mumbai.